A propriedade é um Apartamento Duplex situado na 1ª linha , com uma exposição solar fantástica, solar a partir das 10.00am. Ar condicionado em todas as divisões. No Primeiro piso tem uma Sala com 30m2 com lareira, Cozinha com 17m2 equipada com fogão, frigorifico, maquina de lavar roupa, máquina de lavar loiça, termo acumulador e sistema de aspiração. Também neste piso tem uma casa de banho, arrecadação e varanda virada para o mar. No Segundo piso tem 2 Suites, cada uma com casa de banho e uma com jacuzzi. tem ainda um terraço com vista 360º sobre a praia e a zona envolvente. Wir waren über Ostern 2015 mit drei Erwachsenen und einem Kind in dem Appartement. Wir haben in den vergangen zwei Jahren bereits zahlreiche Wohnungen an der Algarve angemietet. Das hier ist vorerst klar der Spitzenreiter! Der eigentliche Clou der Wohnung ist die ca. 60qm große Dachterrasse, die man zu jeder Tageszeit nutzen kann. Da die Hälfte überdacht ist, findet man dort auch in den Mittagsstungen ausreichend Schatten. Der Blick auf den Rio Famosa ist wirklich genau so schön, wie in den hier veröffentlichen Bildern. Der Kontakt zu Joana war perfekt. Jede Frage wird per Mail oder Telefon schnell und umfassend beantwortet. We are a retired couple and we found this apartment by chance when staying nearby. We were so impressed by its appearance and position that we got in touch with the charming owner, who arranged for a local contact to show us round. 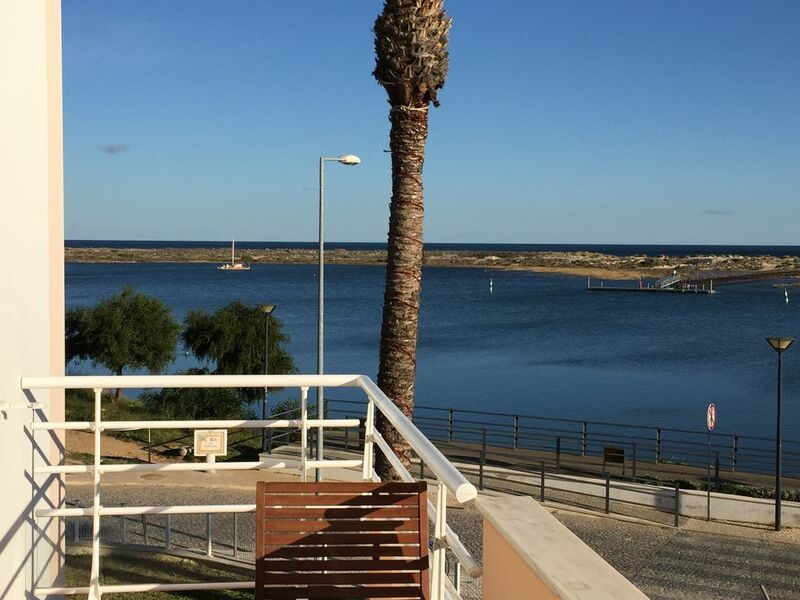 We were immediately blown away by the views of the sea and the Ria Formosa from all the balconies and windows. It did not take us long to decide that this was where we wanted to stay. So we booked and stayed for three months. The property is comfortable and equipped with everything needed for a long or short holiday and everything was spotless and in good condition. The owner made it clear that he would be happy for us to contact him if we had any queries or problems. Anyone who is looking for a stay in a quiet but characterful village which has many and varied restaurants, should be very happy here. We thank you for your nice words, and promise to improved every detail . We hope to see you soon again in Cabanas having a pleasent time.